Rebecca (Bec) Burns is the founder of Sequence Osteopathy and is a unique kind of osteopath who is constantly challenging herself to undertake further trainings on her quest to combine her love of yoga and pilates with Osteopathy. She is known for her strong hands and excellent problem solving skills for complex and chronic conditions and recently completed a Graduate Certificate in Yoga Therapy. Bec is passionate that she has finally found and refined the perfect solution for giving patients long term positive results through a combination of Osteopathy with Yoga Therapy which provides the framework to create unique home exercise programs. Bec developed her strong hands whilst working as a Remedial Massage therapist for the Port Melbourne Football Club and within a gym in Melbourne CBD throughout her studies at Victoria University. Bec’s passion for yoga landed her in the south of India to complete an intense Sivananda yoga teacher training in 2008. She has a very anatomically accurate approach to teaching and has a keen eye for helping improve student’s posture and alignment. She has worked as an Osteopath in numerous clinics in Melbourne and Tasmania where she set up a very successful clinic within a Medical Clinic called- Launceston Osteopathy for 4 years. She completed a Diploma of Clinical Pilates with Polestar International in 2011 and has taught pilates at the RACV resort here in Torquay. Since returning to ‘The Mainland’, Bec has worked at ProCare Sports and Spinal Clinic in Geelong, Karuna Maya Medicine Tree in Jan Juc and more recently at Anglesea Osteopathy after going on maternity leave. She is very excited to be launching her own unique practice within Yoke Yoga Studio. Rachel is a passionate Osteopath who has developed strong skills in treating neck and back pain over her 9 years of practice. A Mother of a young family herself, Rachel has found the area of Pre and Postnatal care to be of great interest and looks to further her studies in this area in the near future. 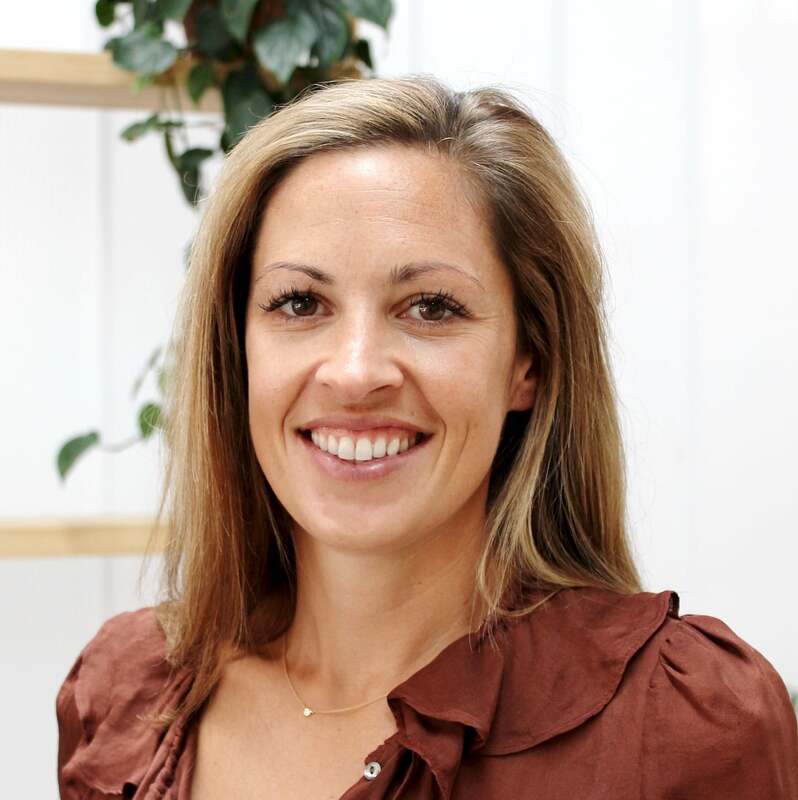 She is passionate about learning and evolving within herself and as an Osteopath. Rachel has also enjoyed teaching Osteopathic roles at Victoria University, Southern Cross University and also teaching anatomy at Deakin University, she would love to do some more teaching in the future. Rachel is a SurfCoast local who comes from a family of 4 passionate Osteopaths. After completing her studies in 2007 at RMIT in Melbourne she went on to work in Sydney, Byron bay and other towns along the east coast being mentored by some inspiring Osteopaths along the way. After travelling overseas she returned to her home town and has now been home 5 years. Having grown up on the Surfcoast, Rachel has always had a strong connection to the area, the people and the health and wellbeing of the town. She worked with some great Osteopaths locally before starting her own family. She is passionate about learning and evolving within herself and as an Osteopath. Piers came to Osteopathy after completing a Science degree at Monash University and then traveling the world and living in far flung places. He studied Osteopathic medicine at RMIT University Melbourne, graduating in 2009. For the first 2 years he worked on the North Island of New Zealand with one of the best Osteopaths in NZ. He returned home to get married and establish a practice in Melbourne. 2017 marked the year of big change, with his second daughter being born and moving to the surf coast to set up family life. Dr Piers Bubbers is available for appointments on Mondays and Thursdays. Piers considers himself lucky to have found Osteopathy as a profession. At the age of 27 he was travelling in India when a man came out of the shadows and asked him his age. That man said to him “Its time you went home and do what you are meant to do in life”. Two days later he was on a plane home and had met someone who was studying Osteopathy. The rest is history. It has opened up a lifetime pathway of learning about the body and of self development. Constantly questioning why is it so? And seeking explanation. Relishing thrilling moments when a patient moves out of their long held pain pattern and realises that they are not going to live in pain for the rest of their life. Piers’ treatment style is eclectic, individualised and gentle, facilitating change in an open and supported environment with good communication. In each treatment he will clearly identify the cause of an issue and work both globally and locally to find a logical solution. His approach to Osteopathy has been influenced by more than a decade of yoga and meditation practice and a curiosity for all things philosophical. Piers has developed a particular skill in the treatment and management of complex injuries especially of the pelvis, neck, shoulder, foot and arm. When Piers is not working at Sequence Osteopathy you can find him spending time with his young family, bodysurfing, walking the dog, bodysurfing, tending the veggie patch or bodysurfing. And when everything is quiet and he’s staring off into the distance he probably thinking about bodysurfing! Born and bread in Brussels, Belgium – Brieuc discovered the benefits of Osteopathy whilst receiving treatment himself. After graduating with a Masters degree from the European School of Osteopathy in the United Kingdom he worked in England and soon found his niche within the world of sports, with a particular interest in rugby, gymnastics, snowboarding, surfing and Crossfit. Brieuc has a keen interest in the movement of the body and strives to achieve an optimum level within all of his patients. Brieuc enjoys the continual learning opportunities that osteopathy has to offer. He finds great satisfaction and is enthralled that every day in practice offers something new to be learnt and understood to a deeper level. Brieuc believes that a good connection between patient and practitioner is essential so bases his treatment around communication and enjoys building a strong relationship. His treatment style uses gentle and precise techniques aimed at improving the patient’s health and wellbeing. When he is not working, Brieuc loves to spend time outdoors surfing and fishing, and if not near the water, he loves discovering Australia’s beautiful nature. Joanna is a caring and motivated Osteopath that tailors her treatment to the individual. Joanna seeks to find the underlying cause to prevent re-occurrence, and enable the patient to self manage in an informed way. Sport orientated childhood in country Victoria, Joanna always had a keen interest in the human body and health. Moved to Melbourne and completed Osteopathic degree at RMIT in 2007. Mentored by respected Osteopaths in Sydney before travelling overseas and finally returning back to her home state. Working in both a rural Osteopathic clinic and an urban clinic enabled Joanna to gain experience in a broad range of conditions and complaints from big burly farmers to newborn babies. Joanna developed an interest in pre and post natal care early on in her Osteopathic career which she has built on with further training in this area. She is a mother herself to the delightful Harry and Matilda. Outside if the clinic, Joanna enjoys spending time with her young family, camping in the great outdoors, music and her much loved furry friend Fred the Basset Hound dog. Thaedra Frangos is a registered Biodynamic Craniosacral Therapist, qualified Senior Yoga Teacher, Meditation Instructor, registered Wayapa Wuurrk© (earth connection) instructor and qualified lawyer. Thaedra is inspired by extensive explorations of the body, mind and soul through movement, feeling, nature, yoga, somatic meditation, Biodynamic Craniosacral therapy, ongoing research, Indigenous healing wisdom and embodied mindfulness. Thaedra’s unique approach is to support clients with tailored skills and resources drawing on various modalities and to encourage health to shine through. BCST is an advanced gentle therapy that combines a Western scientific understanding of the body with mindfulness skills, a unique type of light and reverential touch and an appreciation of the body’s ability to heal itself. There is never any pressure, manipulation or force. The therapy is patient led with the pace set by you and the requirements of your body. The therapy can be used during pregnancy, after childbirth, with newborns, young children, adults and the elderly. BCST works particularly well with stress related conditions, trauma, pain and fatigue, as well as sleep and digestive issues. If you are seeking to improve your general health and well-being, BCST may also be of interest to you. After a series of treatments, you may notice an improvement in your symptoms, experience greater vitality and an overall sense of wellbeing. If you would like to read further infomation on Biodynamic Craniosacral Therapy, visit www.bcst.info. Thaedra is known for her ability to hold a generous, safe, compassionate and impartial space for clients to feel, explore and connect with what is happening at a deep level inside. This results in greater access to health and vitality. Thaedra’s treatments encompass consideration of the whole person and invoke a feeling of being held, supported and listened to, inspiring trust in the wisdom of the body and our innate healing power. Thaedra lives and works in Torquay, Victoria and is a mother of 2 spirited young children. In her relaxation time, Thaedra enjoys long visits to the ocean, the joy of dancing and time being immersed in nature. Dr. Pia Williams is a registered Acupuncturist & Classical Chinese Medicine Practitioner. She has a special interest in internal medicine as taught by the Classical texts of the Han Dynasty, circa 200AD, and her pulse taking, diagnostic skills and the application of treatment are linked directly to a lineage of Chinese Doctors dating back generations. This systemic approach considers that even when faced with chronic and complex health concerns, these can frequently be unraveled by addressing the accumulated issues, one layer at a time. Pia’s approach is warm, thorough, and tailored to care for the individual needs of each client. She has experience treating a wide range of conditions regarding all aspects of general practice with a special interest in all things chronic and complex including viral conditions, digestive, sleep and mental-emotional imbalances, and all aspects of women’s health. Dr Pia Williams is currently enjoying maternity leave. Registered member of AHPRA, ATMS and CMRB. Pia has recently relocated to the Bellarine Peninsula from the Yarra Valley and is excited to be joining the talented team of practitioners at Sequence Osteopathy. Pia has always been interested in Medicine and began her studies in Physiotherapy before deferring to complete degrees in poetry & photography at the VCA & Melbourne University. Due to an acute wrist injury, she chanced upon her first Chinese Medicine Practitioner and it was from this and each following treatment, that a seed grew of what was to become a deep love and fascination. She volunteered with the Australian-run NGO Moringa Project (previously Traditional Healthcare), as Acupuncturist and Project Manager in rural Jharkhand, India in 2011. Pia has also been blessed to work with some of Melbourne’s finest Chinese Medicine Practitioners as a herbal dispenser for Dr Janak Chauhan, Dr Steven Clavey and Dr Graham Jellett. Pia established and ran her own clinic in the Yarra Valley for 3 years, and currently continues to work at her other busy practices in North Fitzroy and Ocean Grove. Pia feels blessed to have a practice that not only aligns with her values but allows her to be all of herself. Her postgraduate studies with Dr Arnaud Versluys of ICEAM have come to define the values of her practice and have enabled her to guide her patients towards where they want to be in themselves and in their health. Pia loves music, poetry, art, books and the anchor of good friends and family. She is an avid traveller and loves learning about and experiencing the many diverse ways of looking at and living in the world. She’s had a long love of yoga and of course – the ocean, regularly bringing sand home in the cuffs of her trousers. Lazy weekends with coffee and dog walks and time to float in the sea are particular favourites, as well as camping and open fires along with all things nature. Oh, and dark chocolate.